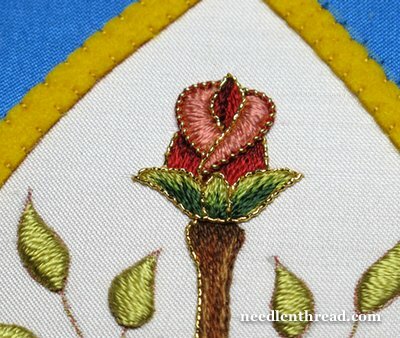 Kathy of The Unbroken Thread walks us through the steps for cutting pricey goldwork threads accurately, with excellent tips along the way. See her post. This goldwork beetle with sheer wings absolutely takes my breath away. Go to the blog of his creator, Arlene White, to see him from every angle.